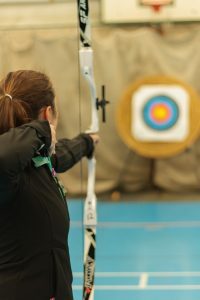 The fees will incorporate your Archery GB fee, the fees to both WAA and NWAS, all shooting fees for shooting at the School. One fee, paid by September 31st and then nothing to pay for 12 months, allowing you to shoot at the school each Sunday. Additional fees for competitions will apply as before. There are new fee structure from AGB and WAA and these have been incorporated in the figures below. AGB have introduced an 18-24 age group that pays the same as a junior, we have introduced a Cadet Junior age group to accommodate new club age changes. The figures below are for the full year. AGB have scrapped the 4 period prorate in favour of a 2 period system, with the break point in April. This will be a 50% reduction across the full range of fees, except NWAS as they don’t use a prorate system. 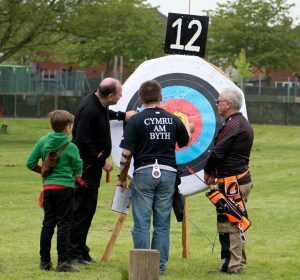 Fees can be paid by a cheque made out to Wrexham Bowmen or online by following this link. Membership online. PLEASE NOTE: New membership applications received after 30th September or 31st March may take several weeks to process, so your membership card from AGB may be delayed. However once you have paid Wrexham Bowmen, you are covered by AGB insurance immediately. People joining from other clubs, please make sure you know your AGB number. In addition to this the club operates a reduced fee system for students, disabled and over 65’s. Fees as follows. In addition to this the club operates a reduced fee system for students, disable and over 65’s. Fees as follows. How the fees are broken down? We accept associate members from other clubs or AGB direct members. Half year fee is £25. Wonderful !! Click here to go to our Membership Pay page.